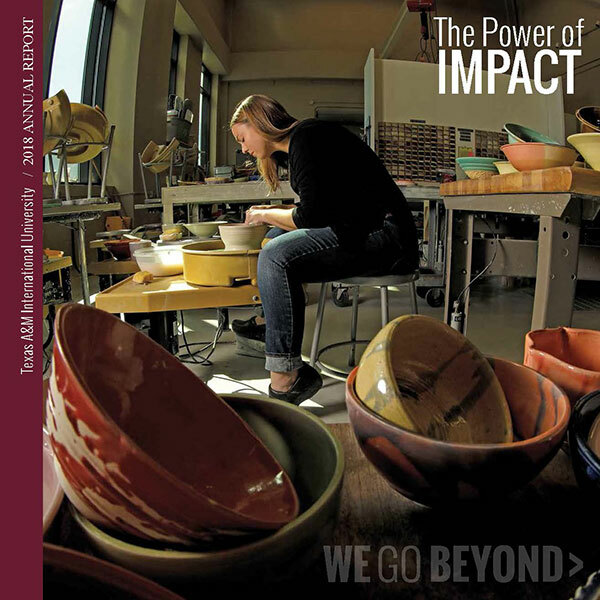 We’re an award-winning team of communication professionals passionately committed to telling the University’s story in effective, innovative and strategic ways. We define our brand and distinguish the University with every communication initiative. Meet our Public Relations, Marketing and Information Services (PRMIS) Team. We tell the University’s story. Our services include news releases and media relations, video and still photography, branding and design, publications, social media, a digital news room, and creative, targeted promotional campaigns. Our initiatives have received 55 regional, state, national and international awards. We love this place. We know the profound difference our faculty and staff make in the lives of students and graduates, and we’re proud to share TAMIU's story. Our initiatives connect us powerfully to great University collaborators and friends… and confirm the importance and value of our shared mission. You want to achieve your communication and marketing goals…and we want to help you to do so. Our team has broad expertise in print and broadcast media, graphic and web design, publishing, advertising, marketing and promotion. Whether it’s a brochure, a dedicated web site, a compelling video, an attractive conference guide, or a colorful campus banner, we’re here to help. Here’s some samples of our award-winning work. 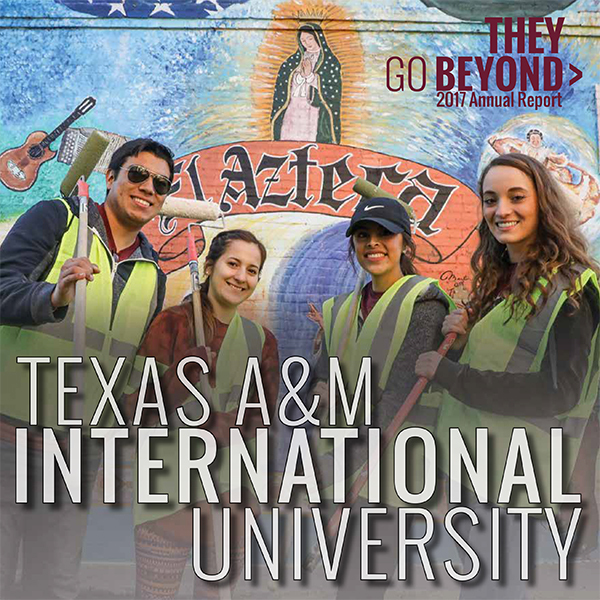 Texas A&M International University represents a distinctive quality in higher education and we truly Go Beyond! In today’s dynamic communication environment, it’s crucial that we use a unified set of Guidelines, that embrace the University’s brand and visual identity. Always used with diligence and imagination, these tools help TAMIU retain consistency and powerful impact in all communication channels. We use WorkZone, a web-based tool, to help manage online requests for most Office services. Users can make requests, track progress, and review and approve drafts. A primary contact from your office/department coordinates requests in WorkZone for each of the University’s colleges, departments and divisions. The full range of services we can offer to help you accomplish your communication or marketing goals is here. Official University publication and advertising are also coordinated by our Office. If you’re in need of something not listed, please email prmis@tamiu.edu. We've got style...here is a Guide to Advertising and Publications. We’ve got 300 acres, 80+ degrees and 46+ years of history…how we talk about it is important. Here is our customized Campus Guide. Curious how our brand works…and how to make it work for you? Here is our Identity Tool Kit. Yes, we’re definitely social. Our Social Media Directory lists active TAMIU sites. Whether it’s a Tweet or a Share, or a Like, here are Social Media Guidelines. Marketing or promotional videos for external audiences follow A&M System Guidelines. How can you get a webpage? Are there standards? Here's our Web Style Guide. Not seeing your need reflected here? Call us at 956.326.2180 or email prmis@tamiu.edu.